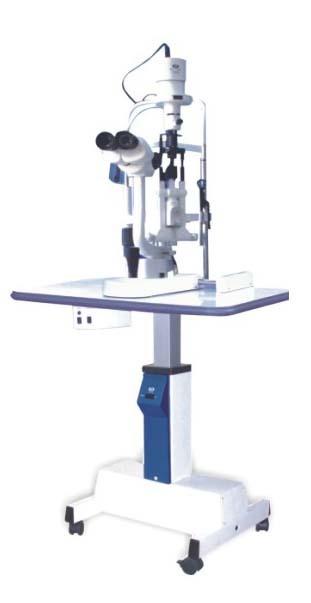 •This product covers all the functions and characteristics of YZ5F1 Slit Lamp Microscope. •The diameter of the light spot and length can reach 14mm. • Applanation Tonometer (R type and T type), Measuring Eyepiece, Beam Splitter, CCD Adaptor , CCD Camera, Teaching Tube, etc.